There really aren’t too many steps in preparing for a yacht charter holiday in Turkey. The bulk of the steps involved in planning, organizing a yacht holiday is usually by the agent. Your preparation, following a few steps can possibly lead to a successful yacht charter vacation – that might bring you back for another season of fun in the sun and sea. We know that at this stage your boat charter holiday will begin in Turkey – but where? For the purpose of trying to make the decision easy, let’s divide the coast into 2 regions. What might be a determining factor is distance from the airport. The main ports of disembarkation are Gocek and Fethiye in the Mediterranean; and Marmaris and Bodrum in the Aegean. 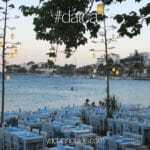 The closest of all ports is Gocek, with a mere 20 minute drive from the Dalaman airport. Fethiye is 40 minutes from Dalaman. While Bodrum is also 40 minutes from the Milas airport and Marmaris is 90 km from the Dalaman airport. The next point could be your main choice of destinations to see. The closest harbors to the Greek Islands are both Marmaris and Bodrum. Gocek and Fethiye generally serve the Antalya region as far as Kekova and Kas, as well as the Yassica Islands (12 islands of Gocek) and the famous blue lagoon in Oludeniz (Dead Sea), Fethiye. The next item on your list after establishing your itnerary – which I might add can be slightly altered during yacht charters from Turkey (best to discuss this part with your captain); is selecting your yacht. 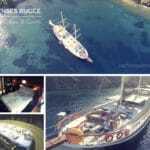 Turkey is mostly well known for private blue cruise holidays on board yachts we call gulets. There are 5 classifications of gulet charters. Starting from the lowest to the highest are economic, luxury, deluxe, ultra deluxe and VIP. The best way to shortlist gulets is the know the date in which you wish to travel, how many people will be in your group and your price range. From this point, gulets can easy be filtered based on your embarkation, date of travel, number of guests and price range. Once you have chosen the gulet of your dreams, it’s time to think about food. Yes food. There are two, sometimes three types of blue cruise menus offered. 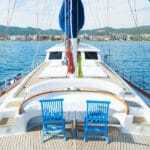 However guests are welcome to purchase their own foods and other provisions with the help of the crew and agent. On the other hand, travelers find that it’s easier for the agent or the boat owner to stock provisions so that your private yacht charter is ready even before you arrive. When mention of blue cruise menus, it is advisable to keep in mind that the pricing in these menus are not only for the food, but also for other provisions specific to the yacht that has been chartered. The menu pricing is just an easier way of presenting the types of meals that guests can expect to enjoy on board. But these dishes can vary from chef to chef / boat to boat since each cook has his or her own way of preparing the similar types of dishes. 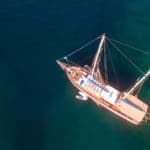 Now that all flights are booked, the airport transfer is arranged (included in the price of the yacht holiday with yachtsngulets.com), gulet booking completed, food and provisions arranged and first payment made; it is time to start thinking about packing. You are going to be on a boat, in the heat, sun, in the water, at sea, and staying in a cabin (big or not, space is still limited). Don’t pack like you’re going across the Atlantic for 6 months. Many of the items that you might forget can usually be found in major harbors if need be. Besides, the less you pack overall, and pack more of the absolute essentials, the less you have to deal with when you get back home. Try to use soft luggage so that you can fold them up and store them in the wardrobes found in your cabin. You might like to bring one extra backpack for all the new items and souvenirs you may purchase during your gulet cruising vacation. Above all the points made, the last, and possibly not the least is have a great time! Turkish gulet cruises are meant for forgetting everything else and enjoying all the luxuries of blue cruises from Turkey. These are special times to feel relaxed and then go back home totally rejuvenated! So make the best of it and enjoy the treasures of Turkey.